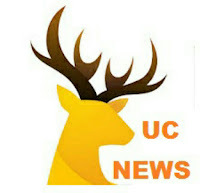 New Delhi, April 11, 2017: UCWeb, an Alibaba Mobile Business Group company, today announced that its latest product, UC News, has crossed 100 Million Monthly Active Users (MAUs) in India and Indonesia. With 100 million daily article views, UC News has rapidly grown in India & Indonesia market since its launch in June 2016. UCWeb is augmenting its focus on digital content aggregation and distribution in the world’s second largest internet market, India.